Sen. Bernie Sanders (I-Vt.) now has a 6-4 edge over rival Hillary Clinton among Vermont’s 10 superdelegates to the Democratic National Convention. Sanders picked up the support of three superdelegates Tuesday. Vermont Democratic Party chair Dottie Deans, party vice chair Tim Jerman and Secretary of State Jim Condos all announced their support for Sanders. At a Statehouse press conference, Condos and Jerman cited Sanders’ margin of victory in Vermont’s March 1 primary. Sanders won nearly 86 percent of the vote, outpolled Clinton in every Vermont town and won all 11 of the state’s district delegates to the convention. The state’s 10 superdelegates don’t have to base their support on the primary’s outcome, but Condos and Jerman said it was a factor for them. “It's unprecedented for a candidate to win their own state by such an immense margin,” said Condos, who is a superdelegate because he serves as vice chair of the Democratic Association of Secretaries of State. They also noted Sanders’ unexpectedly strong campaign outside Vermont. “Bernie’s message is obviously resonating around the country,” said Jerman, who is a state representative from Essex Junction. “There’s no question that Bernie Sanders’ campaign has invigorated and engaged many people,” Condos said. Deans and Jerman stressed that their support for Sanders is a personal decision and does not constitute an endorsement by the state party. Vermont’s other seven superdelegates had already said whom they support. Backing Sanders, in addition to Deans, Jerman and Condos are: Sanders himself, Congressman Peter Welch (D-Vt.) and Democratic National Committee member Rich Cassidy. Those supporting Clinton: Sen. Patrick Leahy (D-Vt.), Gov. Peter Shumlin, former governor Howard Dean and Democratic National Committee member Billi Gosh. Superdelegate support around the country for Clinton has raised questions about the process. 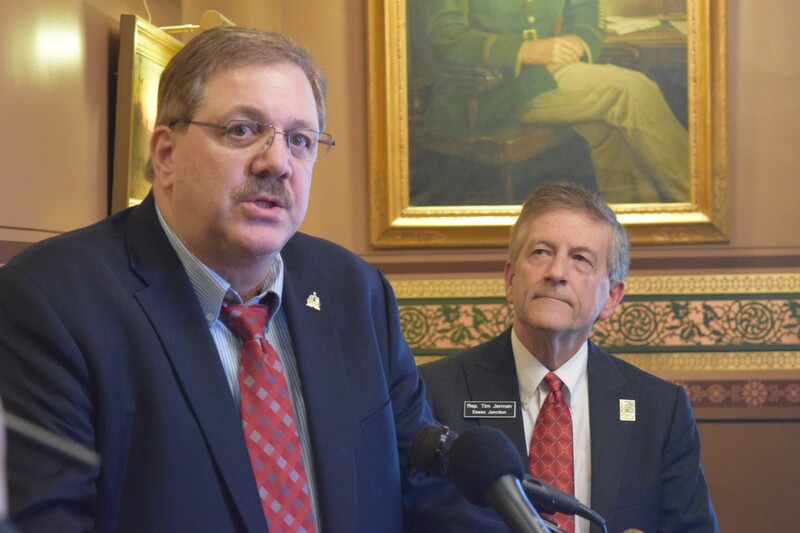 Jerman acknowledged that Tuesday, saying he supports changes to the delegate-selection process to address perceptions that it is dominated by established politicians rather than voters.